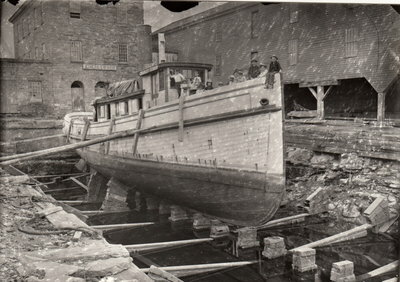 Photograph of the tugboat CHARLEY FERRIS in the Goble drydock in Oswego in the 1880s. A group of young boys and girls line the forward deck. In the background is the dock engine room.